Home Camping Spots Explore Picturesque Portugal By Camping And Hiking! 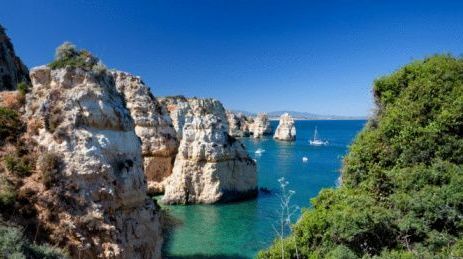 Explore Picturesque Portugal By Camping And Hiking! Portugal is one of the most picturesque countries in the world and most visitors try to spend as much time outdoors as possible. Of course, one of the best ways to this is to get in some camping and hiking whenever possible. Camping’s one for the most popular types of accommodation in the country and it’s definitely one of the least expensive. The climate’s pretty cooperative as well for year-round camping. The small country of Portugal has about 200 supervised and authorized campgrounds located throughout its wonderful countryside. Many of the grounds have as many as 500 sites and you can find the Roteiro Campista book in the country’s tourist offices which provides details of all Portugal’s campgrounds. Most of the grounds can also accommodate camper vans and caravans and some of them also rent out bungalows. Many of them also feature facilities such as showers and bathrooms and the costs are quite low throughout the country. You can also camp in certain urban areas that are close to beaches, rivers, lakes, and public places, as well as national parks. As with all camping on unofficial grounds, make sure you get permission from landowners and keep the site clean. Portugal offers excellent opportunities for swimming, biking, hiking, and boating etc. and these activities can be enjoyed at many of the country’s excellent campgrounds.